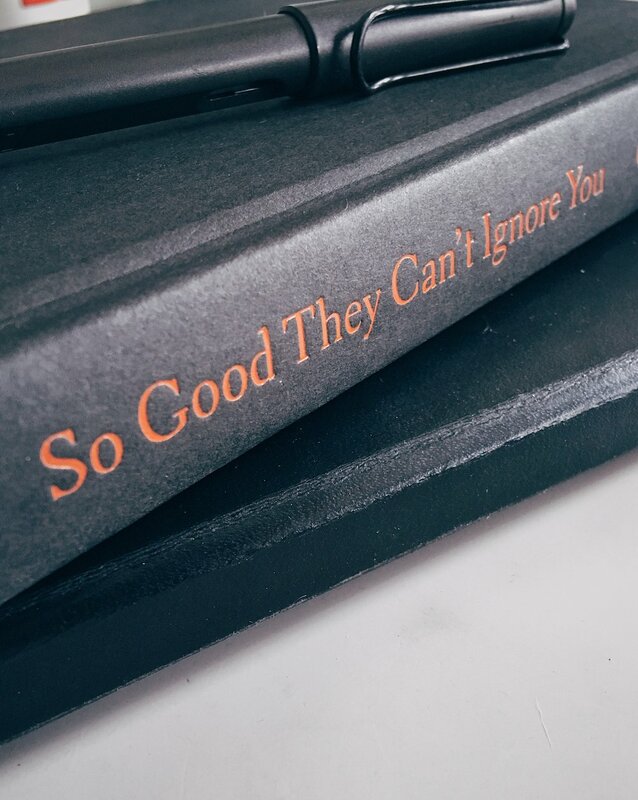 Get your own copy of So Good They Can’t Ignore You. Cal Newport’s writing is filled with illuminating case study examples of the concepts he suggests. This is further backed up with statistics and parallels he draws to other ‘big thinkers’ of our era. If you can only spare 5 minutes, read Newport’s incredible Glossary that defines all the key terminology in his book. It’s essentially the whole book boiled down to 7 pages! (pp231–237). The craftsman mindset takes the position of deliberately practicing and honing one's skills (introduced on p37). Few opportunities to distinguish yourself by developing relevant skills that make you rare and valuable. Focuses on something you think is morally wrong, useless, or actively bad for the world. * I personally find rule three to be weak. You’re never going to like everyone and this should be a good opportunity to be the stronger person and work through it. *I would argue designers and architects are particularly good at this. You don’t have to start with a big plan or project in advance. Instead, make a series of methodical little bets* about what might be a good direction. This gives you the opportunity to learn from lots of little failures and small (but significant) wins giving you rapid feedback. (p179) *This idea adapted from Peter Sims. *Tim Ferris often states he lives his life in a series 2-week experiments and 6-month increments at a time. These short ‘experiments’ function to gauge your excitement. And restrict the hours on tasks that don’t make you better at what you do!